With so many different models of juice extractors on the market to choose from it can be fairly confusing deciding on one to purchase. Below I have outlined specific things to consider before placing your order or heading for the check out register. A kitchen appliance is of little value if it is complicated to use or requires the the user to spend too much time for set up and clean up. If clean up is messy, you'll give up on making fresh juice to drink, and as a result lose out on its healthy benefits. Juicers are meant to be used on a daily basis, and if it isn't easy and quick to use then it will have little value in your life. It is really important to clean your juicer after each and every use. You don't want to introduce rotting or fermented scraps from previous juicing. Look to the product specification to see what percentage of juice VS pulp/waste it yields to get the maximum juice. Juicers that eject the pulp outside the machine yield less juice than juicers that keep the pulp in the basket.How important is it to you to have pulp-free juice? Centrifugal Juicers: Create oxidation that degrades nutrients over time. Juices need be drank right away. Masticating Juicers: Low speed units produce a higher quality juice because they produce less oxidation. High speed units can produce too much heat which can destroy important nutrients. Hydraulic Press Juicers: Produce very little oxidation and are touted to make the highest nutrient juice. Check to see what type of warranty is offered. 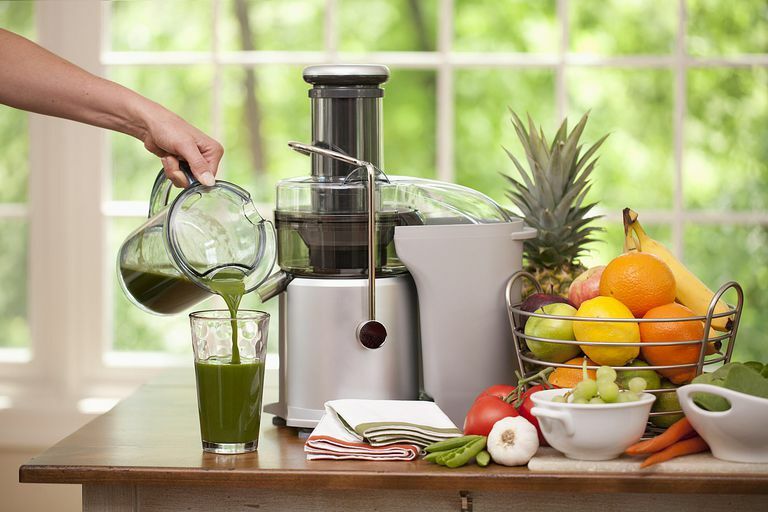 A reliable juicer is usually guaranteed with warranties of a minimum of 5 years, and even longer in some cases. Keep in mind that inexpensive juicers are not built for daily use and are typically warranted 90 days to 1 year. The cutting blade in cheaper models typically wear out after 2 to 4 months of use, and the motor burns out shortly after your warranty expires. A motor rating of 450 watts or greater is recommended. The heat from a more powerful motor will destroy the produce with oxidation. A less powerful unit will strain the motor and your juicer will eventually break down. Look to buy a juicer whose brand name is well known. Finding replacement parts for lesser known brands can be difficult if not impossible. Do you want to be juiceless for a prolonged period awaiting delivery of replacement parts? Note: Several years ago I reviewed juicers from three different manufacturers (Omega, Acme, and Miracle). The models tested are now dated and I cannot imagine you will find them available in today's market.. Your best bet is to review the web sites of juicer manufacturers and read up on their current models. You'll discover a wide range in pricing. Miracle Exclusives targets buyers of professional juicers (chefs, restaurants, heavy duty use, etc) so their prices are over a grand. Whereas Black and Decker targets the low prices, starting around $35. Omega Juicers - Go Green!